MPS vendors are searching for new sources of profit such as small to medium-sized businesses (SMBs), global accounts, or more service-intensive accounts. Doc reads a lot on Managed Print Services (MPS), and some articles are better than others. So, when Charles LeCompte, President of Lyra Research chimes in, I pay attention. 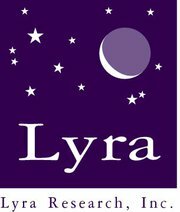 If there was one clear lesson from the 2012 Lyra MPS Forum, an "add-on" half-day conference held in conjunction with the 2012 Lyra Symposium, it was that the managed print services (MPS) business is getting tougher. The easy part—selling printing and copier savings to corporations—has gotten more competitive, and perhaps even has become a "commodity," according to Lyra analyst Robert Palmer. As a result, MPS vendors are searching for new sources of profit such as small to medium-sized businesses (SMBs), global accounts, or more service-intensive accounts. But in all cases, servicing such customers is more difficult than it used to be. SMBs are too small to be serviced by an OEM's direct sales and service forces, so vendors instead must rely on dealers, primarily copier dealers. But copier dealers have a box-moving mentality that is ill-suited to a service business. Global accounts are even more difficult to deal with because a vendor must have a presence in every location where their customer has an office. Sharron Lawson of PrintFleet told the story of an MPS vendor who belatedly learned that a new customer had an office on Baffin Island, a remote frozen wasteland in the vicinity of the North Pole that requires hours to reach by air, and that's if the weather is good. By the time it was discovered, it was too late to change a clause in the contract calling for a $100 fine every time the toner runs out. You can read the entire blog from Charles here.